School Library Journal School Library Journal | Your 3-D Printer Hates You. Now Let’s Get Started! 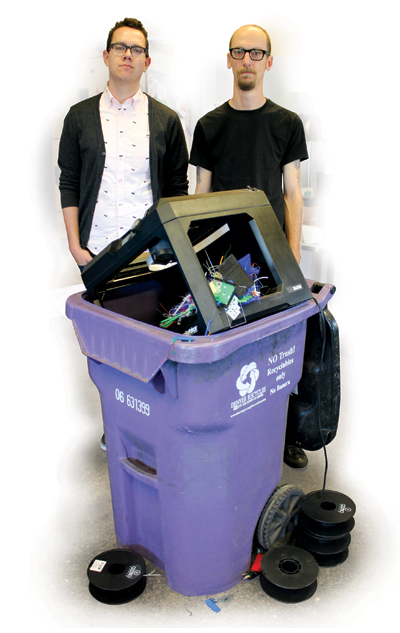 School Library Journal | Your 3-D Printer Hates You. Now Let’s Get Started! If you’re reading this article, we’ll assume that you know why 3-D printing is a popular trend in libraries today. But if you don’t, here’s the short version: Increasingly, libraries are not only places to discover physical and digital materials, but places to learn and engage. A 3-D printer can facilitate this: It’s a tool with potential for education—especially in STEM fields—and a pretty darn eye-catching device at that. 3-D printers hit that tech sweet spot that draws library users: too expensive for most individuals to buy, but semi-reasonable for an institutional budget. They also provide an engaging way to expose a new audience to tech that they may have only read about. From the library’s perspective, it’s a versatile, thought-provoking tool, which may lead to partnerships with local robotics teams, maker spaces, schools, Shakespearian theater troupes, and more. If you don’t know how 3-D printers work, 1) we applaud you for reading this far, and 2) please consider this article a primer. The most common 3-D printers in libraries, Fused Deposit Modeling machines, are essentially hot glue guns attached to motors. They get really hot—210 degrees Celsius—and melt plastic. The most commonly used plastic, PLA (polylactic acid), is made from plants, compostable at high heat, and thus shouldn’t be used to make things that have to hold up much weight or sit on car dashboards. The other common material, ABS (acrylonitrile butadiene styrene), is an impact-resistant, durable plastic that will guarantee that your printed Dr. Who desk toy will survive human extinction. The hot plastic is pushed out in super-thin (think a fifth or tenth of a millimeter) layers, each building on the other, until you get your object. 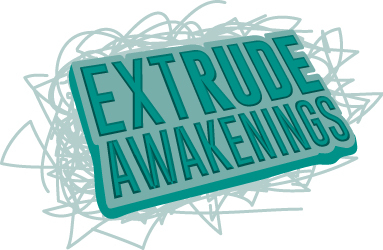 The layers are fed to the printer by a piece of software that slices a 3-D model (usually a file in .stl or .obj format) and generates gcode, instructions on where to move the extruder (the bit that gets hot and shoots out plastic) and how much plastic to spit out. It is exactly as slow and error-prone a process as you are imagining. 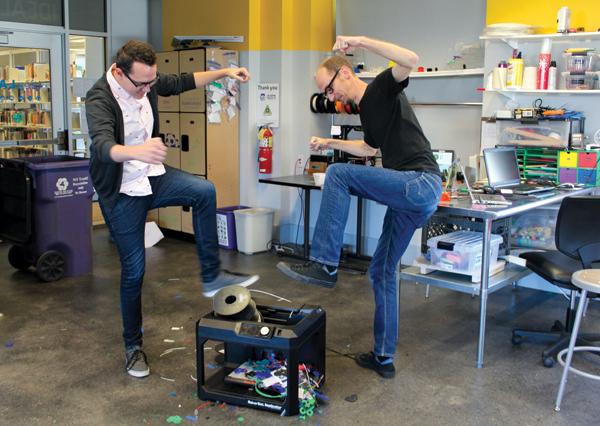 Authors Nick Taylor (left) and Nate Stone calibrate a 3-D printer. After you buy a 3-D printer, if you are lucky, only 90 percent of your time will be spent producing tiny Applejack ponies, skulls, Eiffel Towers, Tardii, or other small signifiers of cultural allegiance that your patrons will display on desks until they’re accidently knocked into the trash. The other 10 percent more than justifies your expense. Patrons will make tools that replace expensive appliance or other mechanical parts, prosthetic limbs for people who need them, and many other worthy projects. In short, a 3-D printer lets people replicate objects and invent things with a speed that would make Edison green with envy. It’s all worth it. 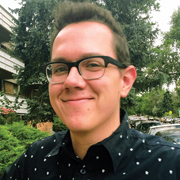 We’d like to share our experiences in two public library systems in Colorado—Arapahoe Libraries (AL), where Nick works as tech experience supervisor, overseeing the maker space and 1:1 tech training, and Denver Public Library (DPL), where Nate is program administrator for the ideaLAB program, a series of maker spaces. Here are tips we wish we’d known before our first 3-D printers were even a sparkle in our purchasing department’s eye. 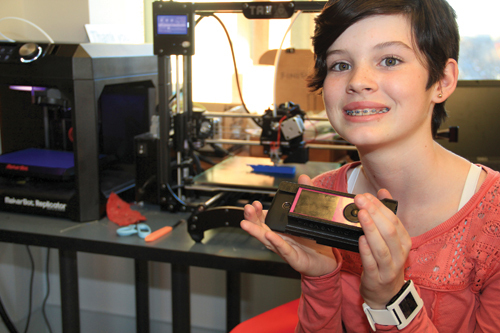 Our 3-D printing started simply: We put a MakerBot 2X in our Smoky Hill Library branch in 2014. It clogged…a lot. Patrons wanted to talk about the printer and what it could do. We had print requests...a lot. Staff handled the prints—all created for free—but quickly found themselves losing hours on machine maintenance and troubleshooting files that wouldn’t print. Over time, we got better at unclogging the machine and accommodating requests. We created a limited menu of eight 3-D objects from Thingiverse.com that we knew printed reliably in order to fend off common snafus. Thingiverse is a repository for free, 3-D printable files, but many of the prints are untested—not optimized—and result in print failures. In lay terms: People share things that look cool without ensuring that they’ll print. Within our curated library of Thingiverse owls and Bulbasaurs, we decided to scale down any 3-D printing request so the print time was an hour or less, resulting in prints that were a few inches tall on average. Both strategies helped us efficiently get free prints to our patrons and reduce time spent fixing the machine. At this point—two years in—we had it down to a science. But interest had waned; mostly, patrons wanted single trinkets. While we still keep some small prints on hand—tiny elephants and other adorable desk knickknacks—we’ve moved to a custom print-only queue to better meet requests for these 3-D-designed materials. We’ve printed objects needed for a robotics competition, a bridge for a ukulele, and a replacement dishwasher part. While we still see the value in simply exposing patrons to 3-D printing’s capability for trinkets, we’re always very encouraging to those seeking these custom jobs, and it’s more exciting, too. A Denver Public Library patron with a custon 3-D print of a case to hold both her glucose monitor and her cell phone. At DPL, and particularly in our Community Technology Center, we’re fond of failing fast, and our first foray into 3-D printing was a monumental failure. Hoping to open a service similar to paper printing, we created a web form for the public to submit jobs and set no limits besides “please don’t send us a weapon to print.” Within a week, we had a backlog that took three months to work through. Almost all were unprintable or unreasonable requests: life-size Iron-Man armor, motorcycle gas tanks, or a small army of terribly modeled Pokémon. Then, only about half the models we’d spent hours printing were picked up. After many improvements to our process, this is what it currently looks like: Patrons come in person, to the library. They show their model of what they want to print to a staff member or trained volunteer, who verifies that the model is both solid— actually printable—and can be produced within a two-hour limit. This lets our staff manage some customer expectations and avoid wasted hours fixing models and phoning and emailing customers. Patrons then submit a request through a Google form that we use to approve and track prints. We’ll still produce your cute desk toys, but our process has freed up staff and printers to handle more custom projects, such as a combination insulin tester/cell phone case, a camera mount that holds seven GoPros for shooting VR footage, or the countless buckles, brackets, clips, and cases for entrepreneurs and inventors. 1. Buy a printer only with the plan that a staff member (or preferably a few) will curate it. You know how your paper printer always manages to jam or not connect to your computer? A 3-D printer is the same, except it seems to actively hate you and can get extremely hot. These machines take a lot of work to run and troubleshoot, so when you’re deciding how to introduce one, plan on extensive staff time for tinkering. At DPL, from March 2015 to September 2016, we ran 1,379 completed jobs. At an estimated 20 minutes per job (reviewing print, setting up the printer, changing filament, contacting the customer), that’s more than 11 FTE weeks of work over 18 months—and that’s just for printing, not training the public or maintaining machines. We were (barely) able to support that because we built in cross-training with the rest of our staff. Please do the same: Nothing makes us sadder than seeing clogged 3-D printers in a closet because the lone staff member who could fix it has left. 2. Be prepared for misconceptions from the public and staff. Q: I can come in today and leave with my print, right? A: HA HA HA HA HA no. Your cowgirl-themed flower vase will take 14 hours to create. Q: Can you print guns and switchblades? What about guns that can shoot switchblades? A: No. Technically, I could, but I won’t. This probably falls under your intellectual freedom policy and you may reserve the right to turn down any print request. Q: Are the fumes poisonous? A: There have been some studies on the health effects of ABS plastic fumes, but they’re largely inconclusive. The general recommendation is to keep your ABS 3-D printer in a well-ventilated space. If you’re still concerned, use PLA plastic, made of safe and delicious corn. Q: What about copyright? Will the BBC come after me for all the TARDII I’ve printed? A: Lots of people have lots of thoughts about this, and you can start with this fine SLJ article, “3-D Printing: Understanding Copyright, Fair Use, and More.” We guarantee that an academic librarian will present a painfully didactic session on this topic at every library conference for the next five years. However, your copy machine policy should cover this. If patrons choose to illegally copy material from a book, that’s their prerogative, and the same goes for 3-D objects. Copyright enforcement usually only happens when someone is selling a copyrighted object. However, we guarantee your printer is so slow that no patron could make a viable business selling copyrighted objects from it. 3. 3-D printers are the service; 3-D modeling is the program. We get frequent requests from libraries and schools to come and “do a 3-D printer program.” This is what that would look like, essentially: an hour of watching a hot glue gun move around while beeping. If you want to engage patrons, focus on what your community can do with the printer. To achieve that, you need to teach 3-D modeling. Kids who are playing Minecraft already work in 3-D. Show them how to print out their builds with Mineways (a free program that lets you turn parts of a Minecraft world into a 3-D- printable model). Is there a holiday coming up? Use Cookie Caster to produce custom cookie cutters. Teach your community Tinkercad, Sketchup, or another free 3-D modeling tool. In Denver, we have always offered 3-D printing free of charge. The cost to us is not insignificant: We used 16 one-kg reels of PLA in 2015 and 28 in 2016—that’s $1,059.42 in filament over two years. Add costs of staffing, the occasional replacement of an extruder ($200), or the reams of masking tape we use to help prints stick to the bed of the MakerBot, and it adds up fast. It’s key to find the right tools. Closed systems lead to problems, we’ve found. We recommend buying a printer that uses open-source hardware and software, so you’re not locked into some proprietary piece of software or filament cartridge. This grants flexibility: If you don’t like the way something works, you can fix it or find an alternative without violating intellectual property laws. If the company goes out of business, you won’t be stuck with hardware or software that’s no longer supported—and you’ll be supporting businesses that practice open-source sharing of information, a natural fit for libraries. We’ve both used Tinkercad extensively as introductory 3-D modeling software. Patrons who are looking for a next step can move on to Sketchup, OnShape, Blender, or many other options. For prepping prints, Meshmixer is particularly useful, especially for its ability to generate easy-to-remove supports. Meshmixer has some useful tools for repairing STL files with problems, and we’ve also found Microsoft’s free 3D Tools surprisingly useful for repairs. For actually producing a model—slicing it, generating the code, and sending it to the printer—Cura or Repetier are tops, if your machine can work with them. We hope we haven’t come off as jaded library hipsters (although there’s probably some truth in that assumption). We’ve made mistakes, printed worthless globs of filament, and burned our fingers with molten plastic. We want to see you succeed and avoid a few of these mistakes to help us justify our past failures. And of course, to put awesome tech and STEM skills into the hands and minds of your patrons. Nick Taylor (l.) is a tech advocate for public libraries, coffee connoisseur, and punk music reviewer. 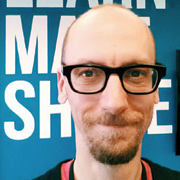 Nate Stone (@why_nate) is a collector of odd skills who makes things in libraries and at home.